There are lots of misconceptions about cancer that make it hard for people to truly know about the prevention and causes of this dreaded disease. Once cancer is found, it not only requires targeted therapies, but support and teamwork to successfully heal. Dr. Rolando Saenz of San Lucas Surgical Associates in Downtown, San Antonio, Texas, not only helps patients with cancer screening and treatments, but also educates them about the healing process, including following a healthy lifestyle. To begin your journey, call to schedule an appointment with a board-certified colorectal surgeon today. Cancer starts when body cells escape the signals that regulate their growth and outnumber the healthy cells in an organ or body part. Cancer can happen anywhere in the body. It is estimated that about one in every three people in the United States will develop cancer during their lifetime. How do you know you have gastrointestinal cancer? How is GI cancer treated? Surgery, radiation, and chemotherapy are the three main cornerstones of cancer treatment. 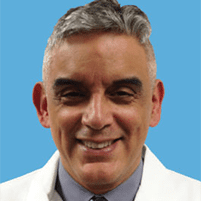 Your colorectal surgeon, Dr. Saenz, evaluates your case and goes over the pros and cons of each treatment type. Based on your general condition, the type and stage of cancer, and treatment goals, he may recommend all three modalities or only surgery. Can GI and colorectal cancer be prevented? Gene mutations that cause some form of colon cancer run in families. If you know about your family history of cancer, get genetic testing done and begin screening to catch the disease early. Several options exist for colorectal cancer screening, such as stool-based tests, CT imaging, and colonoscopy. Dr. Saenz offers colonoscopy screening regularly at his office. If you have been diagnosed with colorectal cancer or are worried about the chances of it happening to you, call Dr. Saenz’s office today.